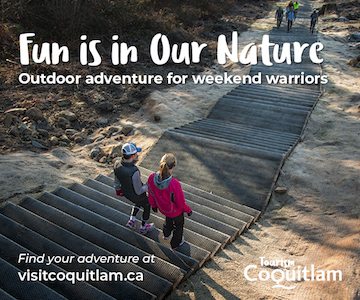 My Vancouver Icons series focuses on places and landmarks around Vancouver that we see every day, perhaps even take for granted, without always knowing the deeper history that is involved. 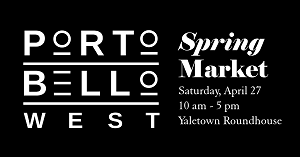 In some cases, there is not much greater history (sometimes a steamclock is just a steamclock from the 1970’s) but for others, they are a glimpse into Vancouver’s past or a way that it began to grow its future. 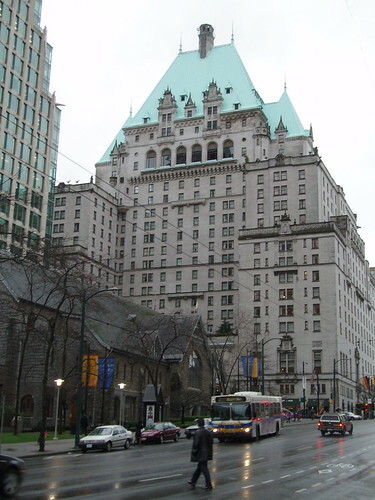 The Hotel Vancouver located on West Georgia street between Burrard and Hornby is almost identical to other Canadian Pacific Railway hotels that were constructed across the country. 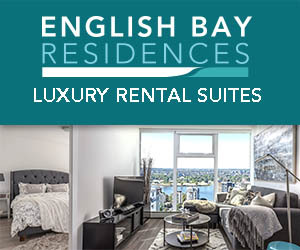 The urban hotels, such as Toronto’s Royal York, Calgary’s Palliser and the Hotel Vancouver, with nearby train stations or ports served businesspeople and elite rail travelers. Rural hotels, like the Banff Springs, served as exclusive and scenic getaway destinations. The Chateau Frontenac and Empress in Victoria are two of the oldest in the collection, which was purchased by Fairmont Hotels – along with a handful of similar hotels from Canadian National – in 2001. 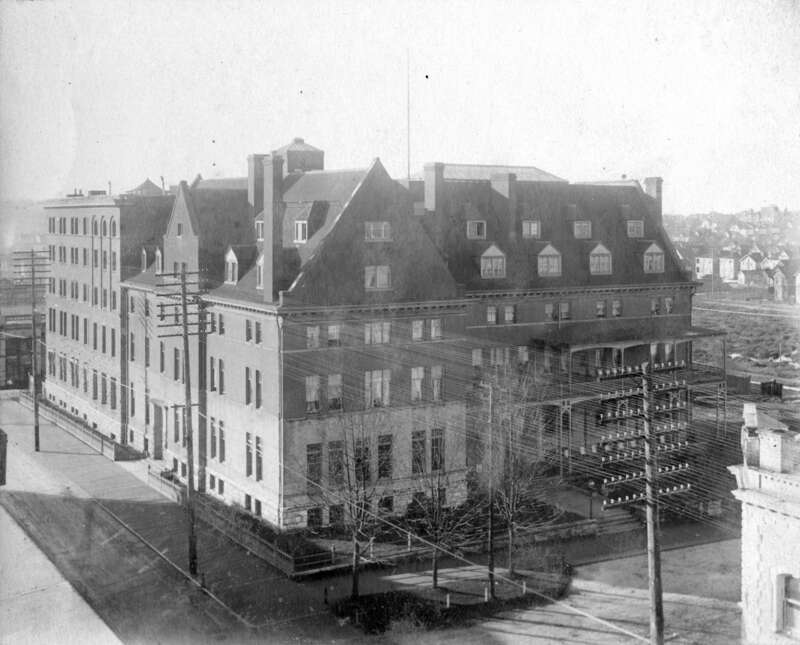 1890s – First Hotel Vancouver. Archives Item# Hot N53. 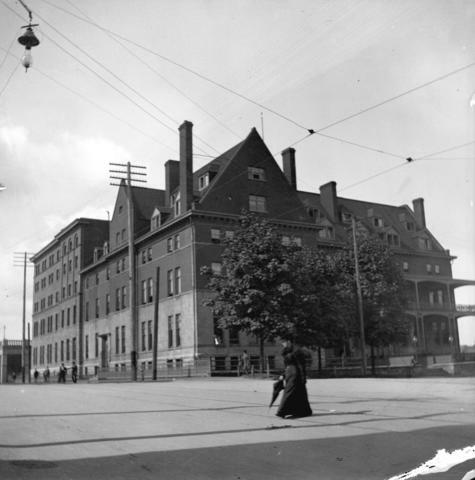 1905: Georgia and Granville. 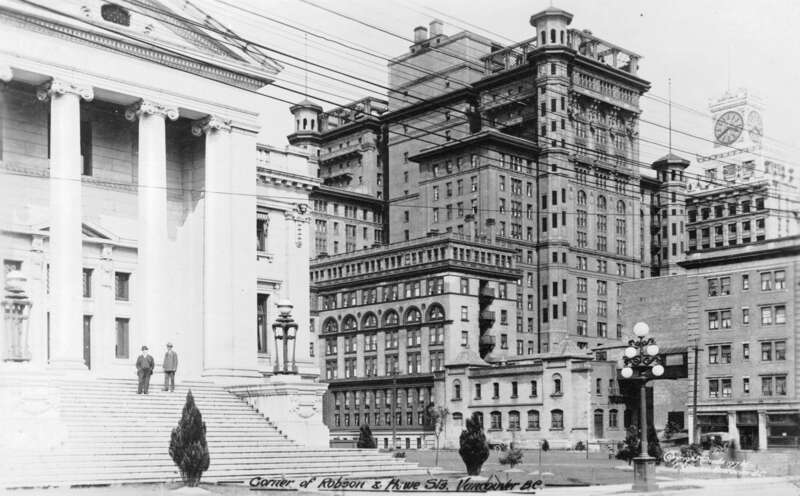 First Hotel Vancouver. Archives# AM54-S4-1—: S-3-1. 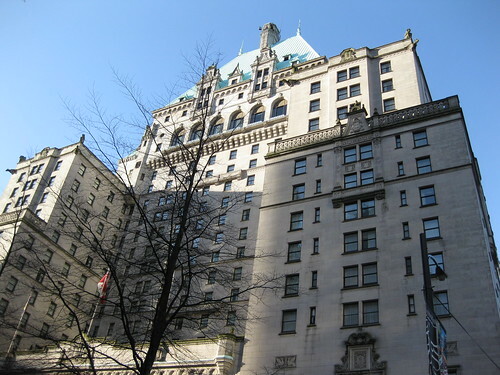 The building we know today is the third Hotel Vancouver. 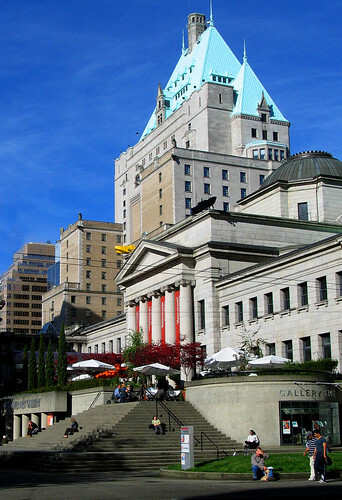 The first was located at Georgia and Granville and opened in May of 1888, according to Chuck Davis of The History of Metropolitan Vancouver. 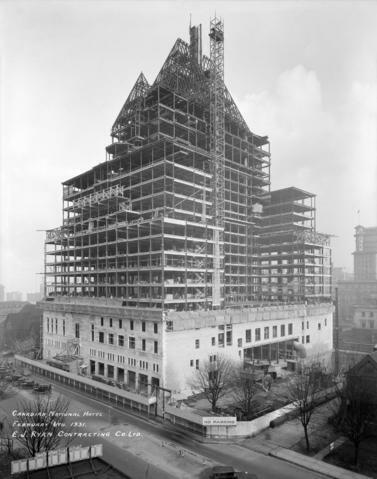 Construction began on a replacement, the second Hotel Vancouver, in early 1913 and it would open in 1916. 1917 – Robson at Howe. 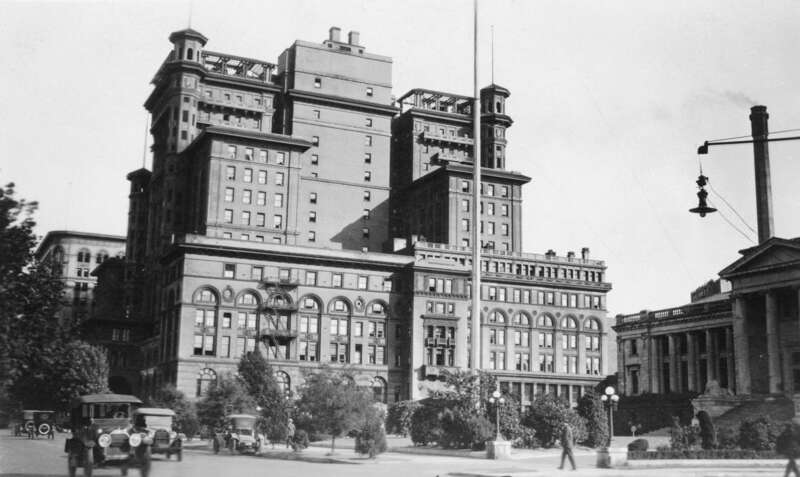 Second Hotel Vancouver. Archives Item# CVA 677-969. Photographer: Frank Gowen. 1923 – Georgia at Howe. 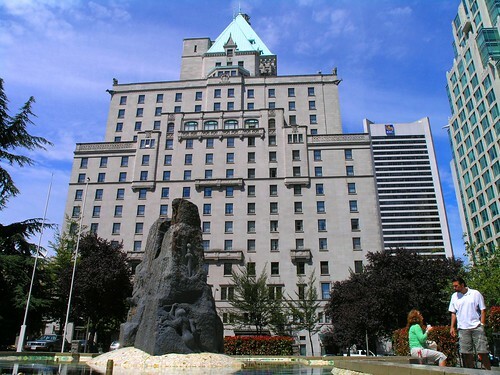 Second Hotel Vancouver. Archives Item# CVA 677-951. 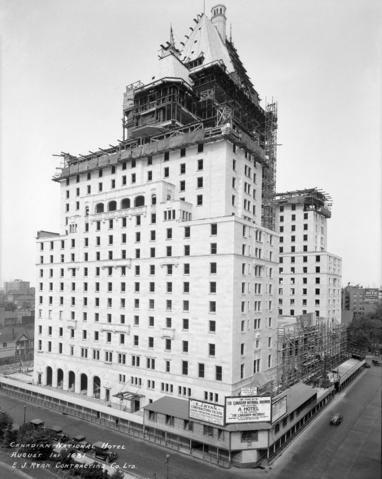 1931 – Third Hotel Vancouver. Photographer: Stuart Thomson. Archives Item# CVA 99-3696, CVA 99-3686, CVA 99-3689. 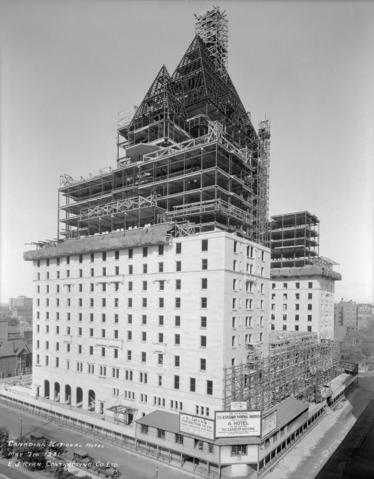 Aside from hosting royalty and dignitaries from around the globe, the Hotel Vancouver (as we know it today) was also the home of CBC Vancouver until the 1970’s, and the place where Dal Richards, the King of Swing, got his start in the Panorama Roof Ballroom. 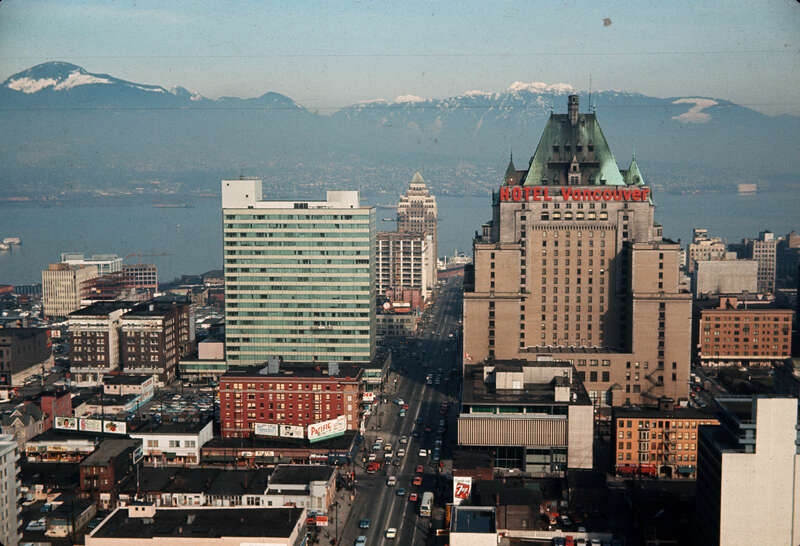 1966 – Hotel Vancouver. Archives Item# CVA 780-4. 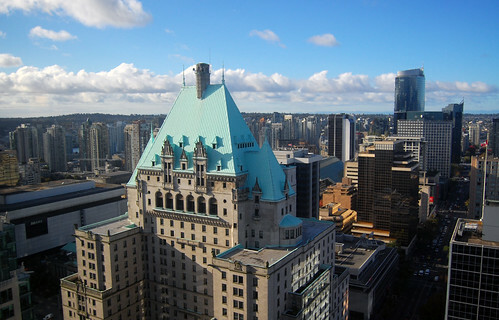 While the Fairmont Hotel Vancouver isn’t the tallest or oldest building in the city, it’s still the grand centrepiece of the Vancouver skyline. Related posts: Angel of Victory, Marine Building, Gassy Jack Statue. 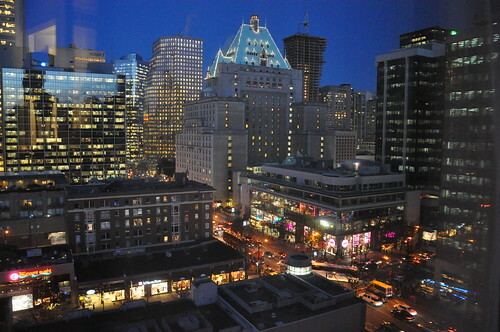 There’s still time to enter to win a Royal Breakfast Sleepover at the Fairmont Hotel Vancouver, until 11:00am April 26, 2011. Decades on, I still love seeing that (oxidized) copper-green roof; whenever I’m home, this is always one of the landmarks for which I look. Thanks for the short history of the Hotel Vancouver, Rebecca. p.s. if I remember correctly, you’ve also done historical pieces on the Sun Tower and the Woodward’s building. 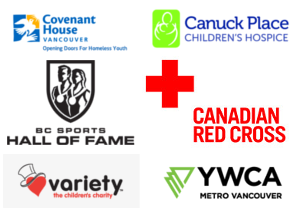 I’m sure there are more icons, but as I’m fairly positive I’ve read your respective articles, perhaps these latter two are Vancouver icons, too.